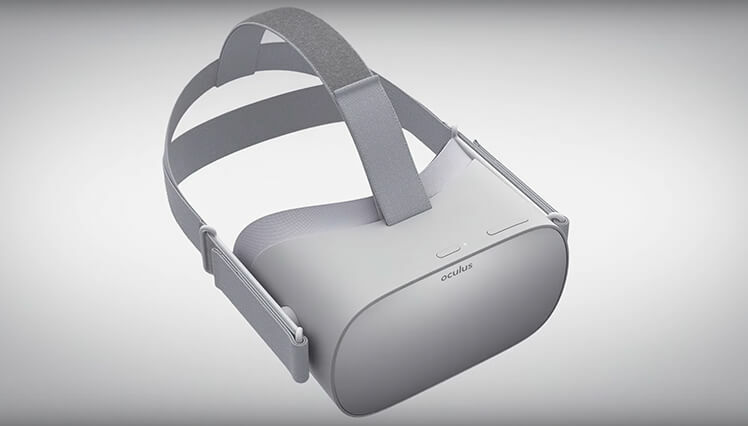 Please note: The Oculus Go is set for release in early 2018 with developer headsets shipping late November. Oculus are adding another new headset to their already impressive line up of the Oculus Rift with touch controllers.The Oculus is a lightweight all in one standalone VR headset with 3 degrees of freedom. Using orientation tracking only through the use of its purpose built controller and built in cameras on the headset the Go undercuts the need to be tethered to a PC or Smart phone. With much lower costs than a PC headset you of course will not be able to experience the same caliber of games, experiences and applications, however you will still have access to the full suite of pre existing ones that were originally made for the Gear VR store. Unity, Unreal of Oculus Mobile SDK will still all be compatible with both the Gear VR and Oculus Go allowing you to interchange between the two if you so desire. The Oculus Go comes in at a much more reasonable price that it's PC counterparts but the argument has been made that if you already have a capable smartphone which uses similar CPU and GPU specs to the Go why not just use something like a Gear VR? The answer to this if you're looking for a no fuss experience where you can play your favourite films, concerts and games, the Oculus Go should theoretically be the answer to that. The all in one device sports crystal clear optics, a wide field of view, and comfortable ergonomics. Utilizing a high-resolution fast-switch LCD screen over a OLED panel as seen in the Rift, it has a higher resolution increasing visual clarity. Likewise, using fabric and lightweight plastics the headset is easier to where for longer periods of time, softer and more breathable. The built in speakers remove the need to buy external headphones that supposedly utilize spatial sound, however to get a more intimate and immersive experience you may wish to couple the headset with a set of external headphones that can plug directly into the 3.5mm jack.